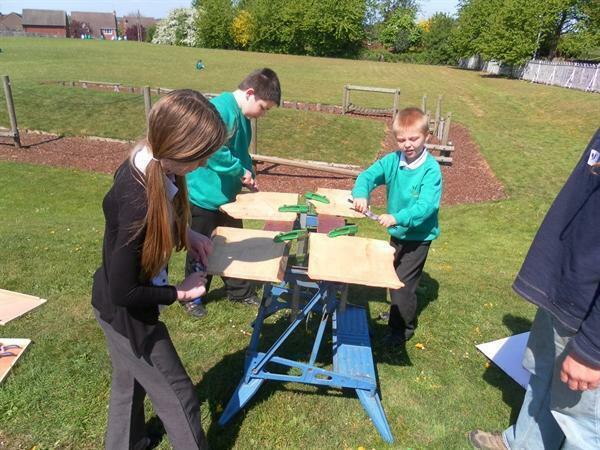 Since the Easter holidays, the whole school has been busy working with Kate and Peter to come up with lots of ideas for how to change our outdoor space. 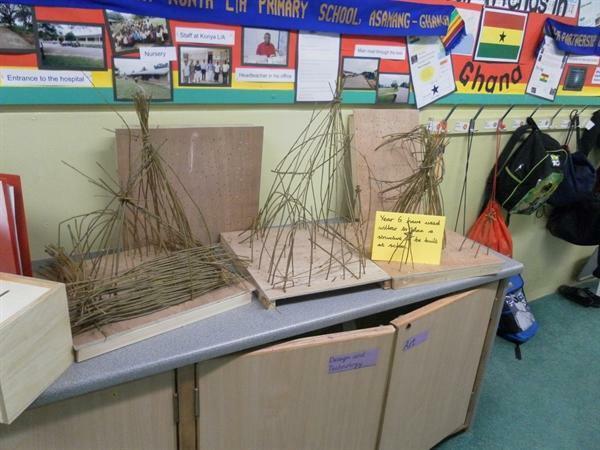 Peter has given us lots of ideas about using materials to help us to construct shelters. 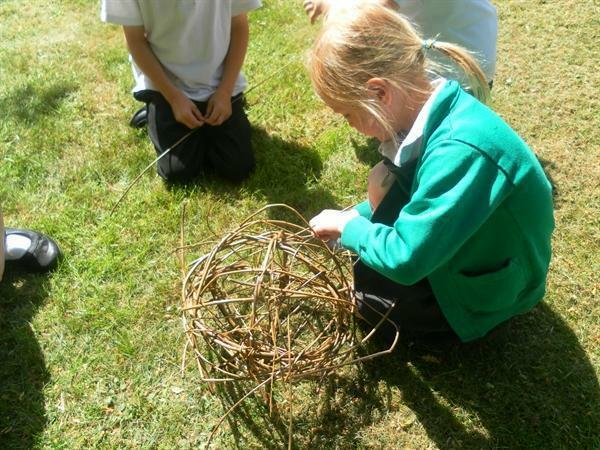 He has shown us all sorts of ways to use willow to construct different shapes and he has also taught us how to make cob. 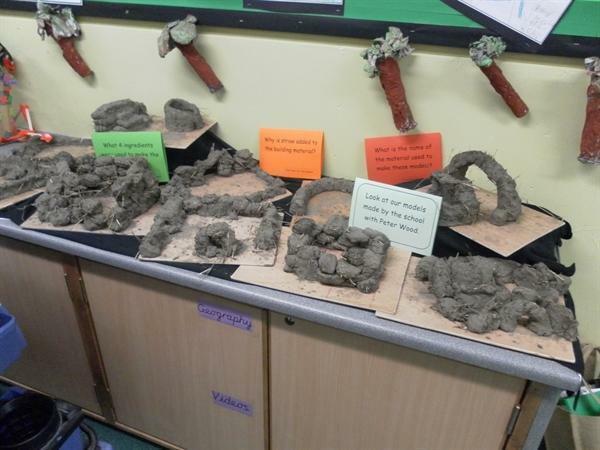 This is a building material made from mud, clay, water and straw. See the photos below. Kate has been helping us with our design process. 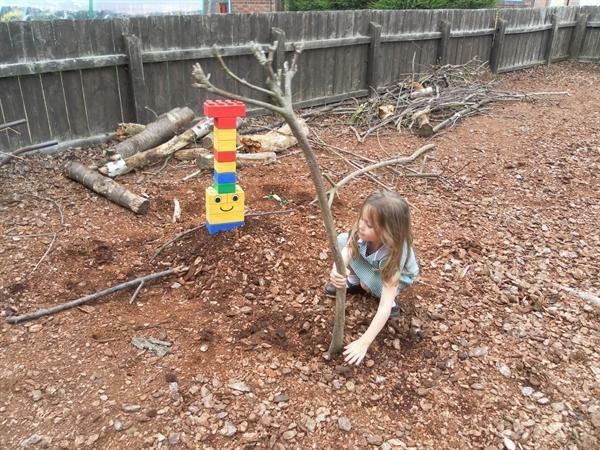 She has helped the children to develop their ideas by giving a list of what an outdoor learning space needed to have - a design brief. 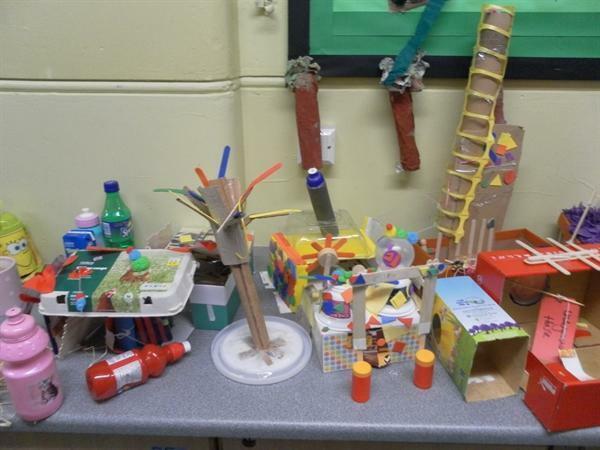 She has helped the children to visualise their ideas by making models using 'junk'. She has been gathering loads of ideas from the children for what they want to see and is planning her structure to show us after half term. Watch this space (or see the photos below!). 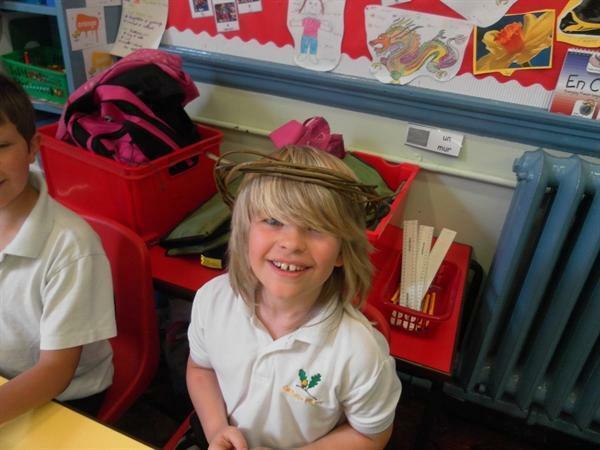 On Monday 11th March the whole school had a fantastic day finding out about what we will be learning about next term. 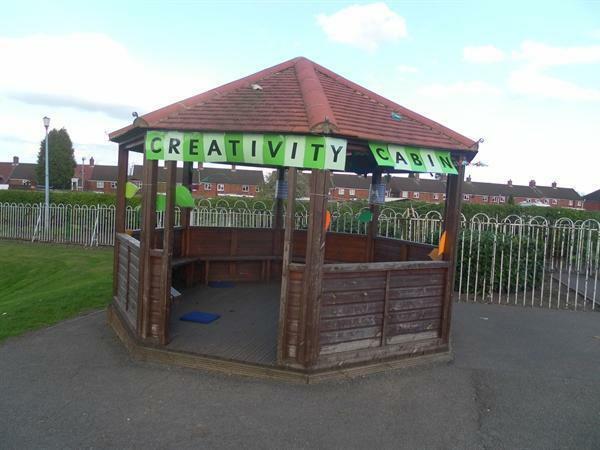 The Creative Council of children from each class helped to launch our Creative Partnerships project. 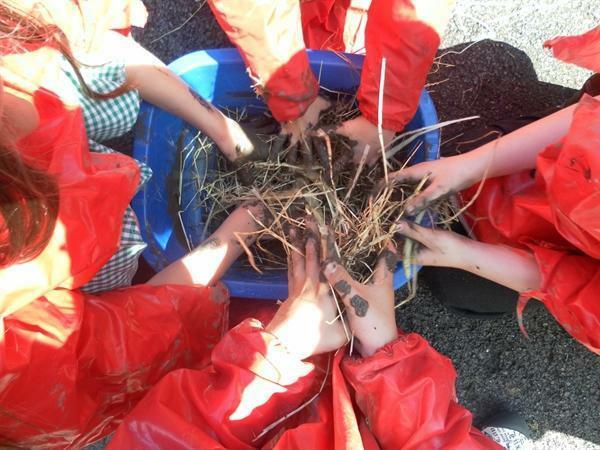 The school has got £18,000 from Creative Partnerships to spend on improving outdoor learning and I hope you can see that it has already started! Kate Unwin – a freelance designer (www.kateunwin.co.uk) who has had a lot of experience at designing and making costumes and sets for theatre productions. 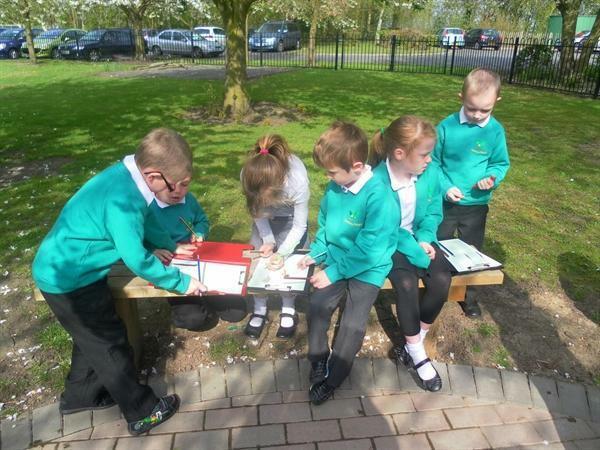 She has already helped us to have some very creative ideas of how we can improve our outdoor space with ideas such as a treehouse, a relaxation area, a drawing area and a somewhere to do maths. 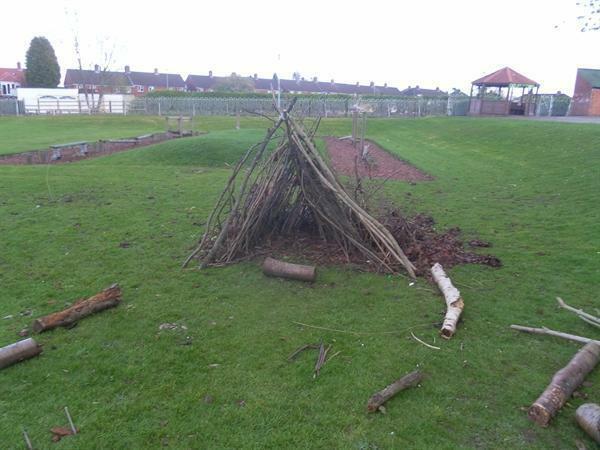 Peter Wood – a natural sculpture with Greenwood Days (www.greenwood-days.co.uk) who is very experienced in using natural materials including a lot of what we already have in the school grounds. 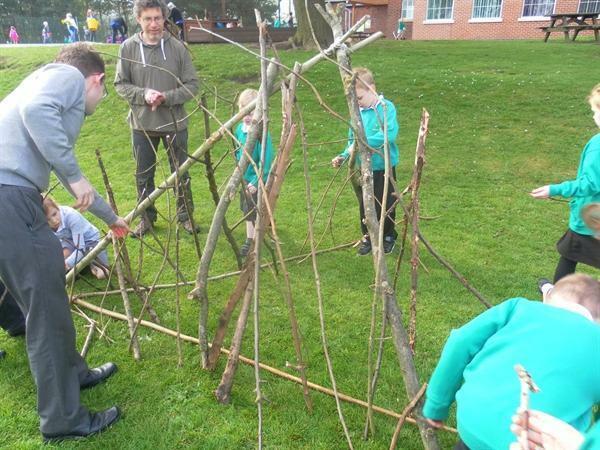 He has started as he means to go on by teaching the whole school how to build a shelter on the field so Mr Ellis could stay at school all night!! 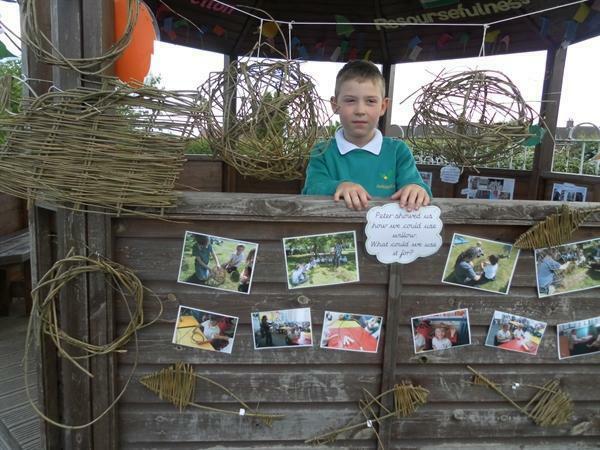 Peter and Kate will be working with each class during the Summer Term to help them design and build their own opportunities for learning in the outdoors. 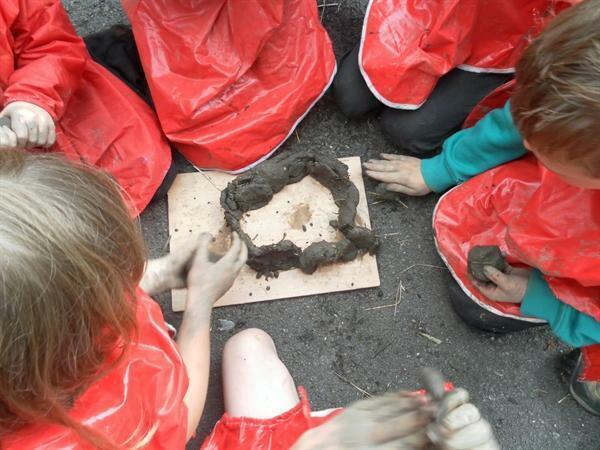 The ideas really will come from the children so who knows what could start appearing in the school grounds! If you’re not sure how these help learning, please ask your child to explain! 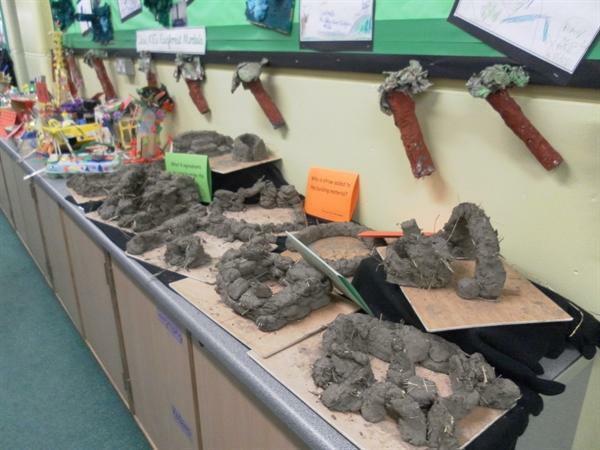 Next half term will be full of learning and we hope the children, staff and parents will get a lot out of the project. If anybody is interested in finding out more or getting involved, please contact Mr Ellis. The project will end with a celebration for parents to attend so they can find out about all the learning we have achieved and what will happen next!